The north end of Central Park is home to four colorful butterfly gardens. 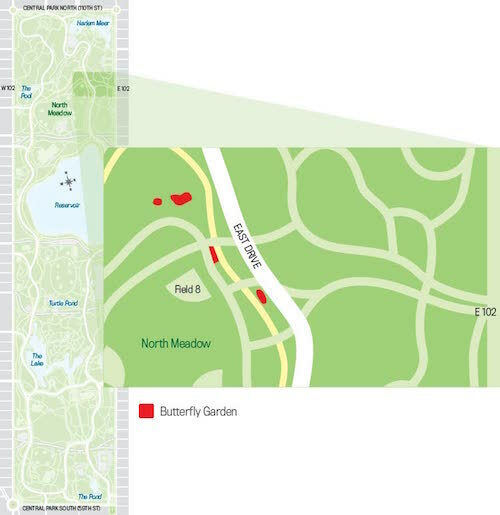 The North Meadow Butterfly Gardens were established in 2000 by volunteers and the Central Park Conservancy to support butterfly populations, as well as a variety of moths, insects, and birds. These gardens provide habitat for Monarch butterflies migrating through New York City on their way to or from Mexico. Monarchs and their caterpillars depend upon milkweed at all stages of their life. The North Meadow Butterfly Gardens feature two species of milkweed. 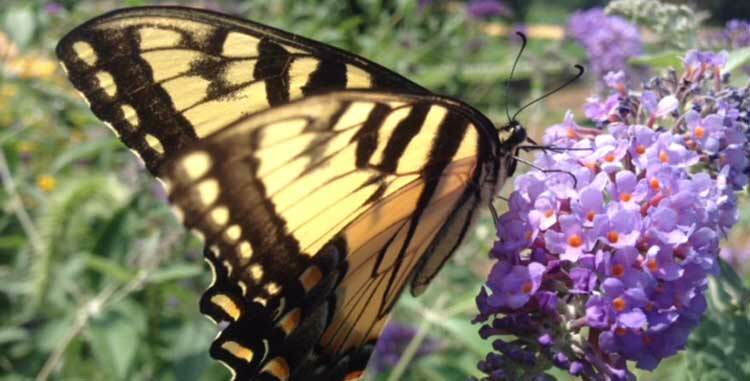 In addition to milkweed, Central Park Conservancy's butterfly gardens are full of plants, flowers, and shrubs which act as host plants and food sources — from spring through first frost — for a variety of butterfly species. The plants are colorful, beautiful, and provide a wide variety of wonderful fragrances for visitors of all species to enjoy. The perennial plants found in the North Meadow Butterfly Gardens are a good example of what homeowners and renters may plant in the New York area to offer support to the city’s butterflies, hummingbirds, and insects.